Cedar Crest Trout Farms is a second-generation family business with five land-based, rainbow trout hatcheries in southern Ontario. 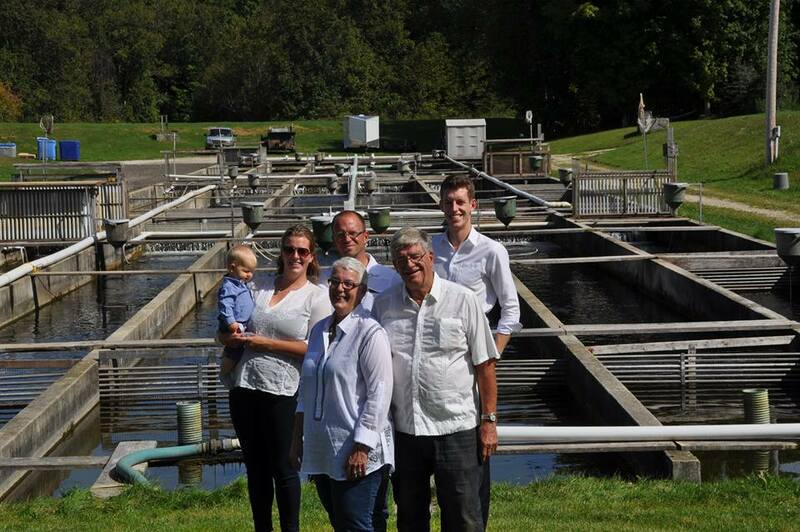 Started in 1995 by Jim and Lynette Taylor, the hatcheries are now run by siblings Arlen and RJ Taylor. Their team spawns and grows more than 6 million fingerlings that fill many net-pen farm sites in Georgian Bay. Cedar Crest’s hatcheries make use of water from cold-water springs and wells that is filtered and settled before it enters some of Ontario’s largest river systems. Check out their Facebook page to learn how you can buy fresh and smoked trout under the brand of Springhills Trout.